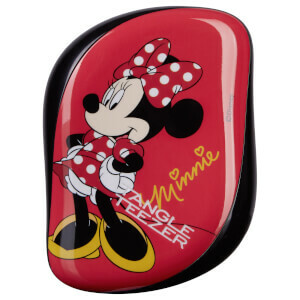 Smooth and tame your hair with The Little Mermaid Disney Tangle Teezer, 'The Original' detangling hairbrush suitable for all hair types and textures. 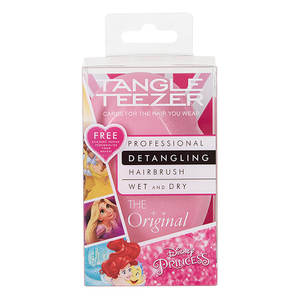 Designed to minimise fuss, breakage and damage, the multi-award winning brush glides effortlessly through lengths, eliminating tangles and knots while preventing breakage. 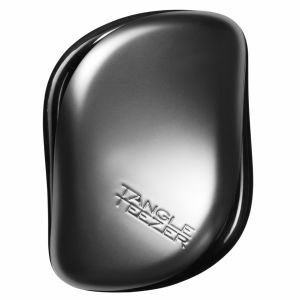 Two-tiered system technology allows the brush to slide easily through locks; its long teeth detangle while the short teeth smoothen the hair cuticle. Promoting smooth, soft, shiny-looking tresses, the hairbrush can be used on wet or dry hair, and takes the fuss out of brushing.